If you are not sure about the previous statement consider how a diversified investment strategy spreads the risk, improves returns by reducing single stock risk. While different, it is similar to think of diversifying your company’s freight and logistics strategy along the same lines because it spreads the risk and improves cost and service equation by reducing single mode or single freight provider risk. The focus of this article is focused on diversifying your 53’ capacity across truckload and intermodal. For those of you not sure about the idea of spreading your risk between truckload and intermodal, we have a number of resources to get comfortable with the idea of intermodal transportation. Below are the top 5 most popular articles that have been read by our customers today to get them into the intermodal market successfully. The market can flip on a dime in regards to this topic. To this point, in a two-year time span, the freight market has gone from a "freight recession" to “I’ll pay for whatever it takes to get a truck today”. On the latter point, public company after company has reported the impact of freight to their bottom line profits. Being prepared for the next bend in the road will help protect against this downside that comes from a booming economy. This story has often been followed by driverless trucks coming quicker than most believe or thinking that technology is going solve the problem. Whether driver shortages will be a problem or not, there will be times that, without question, truck drivers will be scarce. While the rising oil prices have been the general thinking for years, the oil price per barrel are down from their highs in 2014. Improved production methods have increased output against an economy less dependent on a single energy source. One natural disaster or political hot spot in the world can change the headlines in a 24-hour period. Hurricane’s, floods and fires have driven many logistics professionals to the drawing board, but there are alternatives when a shipper opens up their options to both freight modes. Hours of service (HOS) and electronic logging devices (ELD) will continue to drive down available capacity by limiting the hours a truck driver can be behind the wheel, but there are more trucking regulations on the way. While capacity has been taken down, the option of introducing intermodal to offset the effects on some freight lanes opens up opportunities to shippers. More reasons to diversify your freight strategies could be added to the above list, but let’s not exhaust ourselves in the endless chatter and instead focus on areas to consider when assembling an intermodal and truckload diversification strategy. 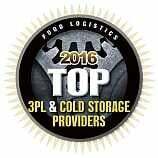 Truckload options have an additional 2,500 lbs loading capacity than domestic intermodal. Often times weight will hinder a shipper’s ability to utilize intermodal because the combination of the container and chassis makes intermodal equipment heavier. There are some alternative solutions, but this is a good "rule of thumb" and throws a number of shippers out of the intermodal market. Think of intermodal transit as truck transit time, plus a day. With a little planning, intermodal and truckload can be used equally across a company’s supply chain to maximize capacity. Intermodal is not an option for all lanes, unlike truckload. Intermodal ramp locations, in relation to the O/D pairing, and length-of-haul are two critical data points in intermodal decisions. Truckload has dry, reefer (refrigerated) and flatbed, while intermodal is primarily dry with some temp controlled capacity and minimal flatbed options. 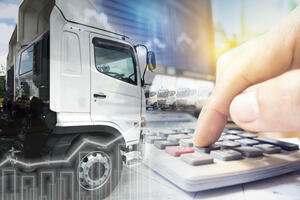 Pricing is and always will be a consideration in freight decisions. The combined truckload and intermodal strategy will keep shippers close to the market and provide more immediate knowledge of leverage points to gain the most capacity at the best price. Service can either be the 1A or 1B to price. Having the two modes of 53' container capacity under roof at all times, versus at various times, improves service levels and capacity. The reason for this is pricing and capacity go hand-in-hand. If you walk away for pricing at some point, you may lose the capacity down the road because you did not stick with the partnership. Freight providers are loyal to those that are loyal to them, so stay with the diversification strategy at all times, not just the price times. On the capacity front, domestic 53’ intermodal is a far better capacity option for high volume lanes when the option is available. The amount of assets that can be thrown at shipper needing shipments 700 miles or greater is far better with intermodal. 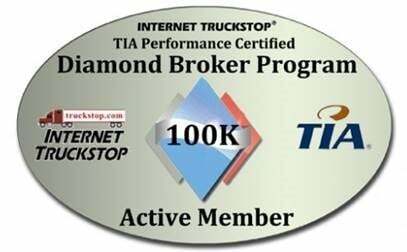 The reason is a truckload is a one-to-one relationship, while intermodal is a multi-to-multi option. The multi-to-multi option comes from the characteristics of intermodal where it consists of origin dray, long haul rail segment and destination dray. A single train can carry the load of 280 trucks at a time, and with the dray typically being under 100 miles a single driver can turn several times in a day. There can be unplanned events that can cause particular modes and/or carriers within the same mode to have unplanned difficulties on their routes, which speak to the need to diversify. As an example, BNSF and Union Pacific have different train routes in and out of LA. A few years back, one railroad could get in-and-out of LA, while the other could not. This speaks to taking your diversification strategy within the modes itself, which could be an article in itself because of the expertise found within each provider even under the "big get bigger" theme within the logistics industry where the small providers are getting rolled up into larger logistics service providers. As truckload capacity tightens a careful analysis regarding the use of intermodal service will help shippers diversify their transportation modes and offer additional capacity in lanes where trucks are becoming even more constrained while improving cost. Consider Intermodal Transportation when Choosing Site Locations. When planning for expansion, consider the distance to the closest intermodal facility. Keep in mind that the closer an operation is to an intermodal facility the lower the drayage cost will be which will, in turn, contribute to lower overall transportation costs. Take advantage of the railroads’ gate cut-offs and departure times. If necessary adjust the shipping and delivery times so that loads don’t sit at the rail yard all day prior to departure, this approach can actually tighten transit times by several hours. Keep Enough Product in the Pipeline. An intermodal move will take a day or so longer than an over the road truck. As such, effective planning is required to better ensure the correct volume of product is moving through the supply chain in order to better handle spikes in demand. 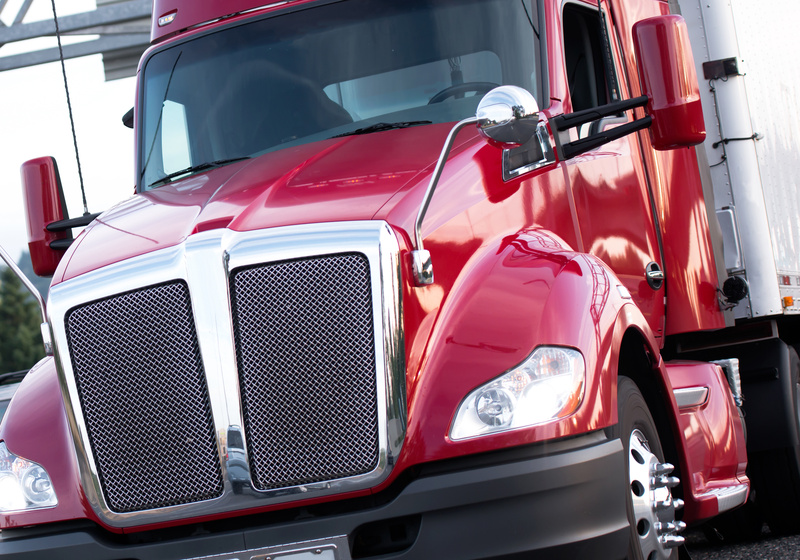 This is not to say that you have to pump up inventory by a great amount to have the option to blend in intermodal to your current truckload strategy. The point here is to plan for the extra day in transit. Specifically, utilize both truck and intermodal transportation to take the best advantage of what both modes have to offer. In certain lanes, it might make sense that for every truck move follow that with 3 intermodal freight transportation moves, or vice versa. This is part of the planning that goes into a well-balanced transportation network and will better ensure capacity and product flow as volumes grow and capacity tightens. Choose your transportation partner wisely. Identify and work with a transportation company that will help you blend the best of over the road with the best of intermodal. 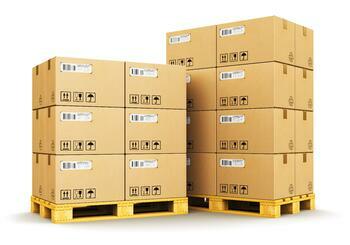 One that allows for the timely and safe movement of your products. 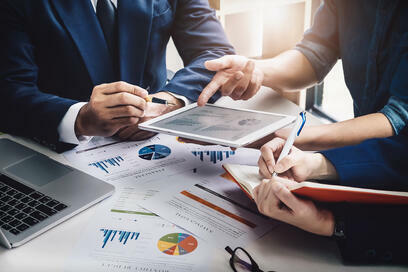 Look for a partner that will help to improve the overall operational and cost efficiencies that will add bottom line profitability for your company. 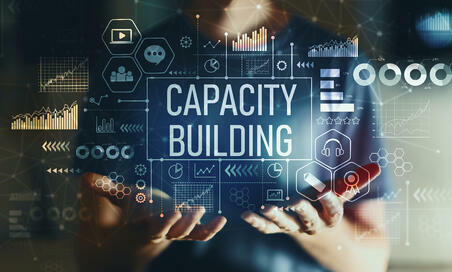 Develop a long term relationship with partners who have the ability to weave you a tapestry of balance: Cost Efficiency, Scalable Capacity, Sustainability, Cutting Edge Technology and the Industry Expertise to better serve you and your customers. By working together, building partnerships, building trust and building confidence, we can create a more perfectly balanced transportation network. One that will be better able to handle the ups and downs and the ins and outs of our industry, and perhaps more importantly, for your business. Too Much Work to Diversify? Keep in mind you do not have to go it alone. 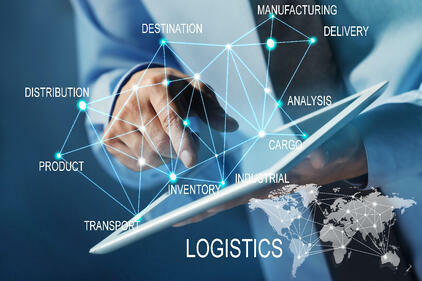 There are a number of great logistics services providers that because of the breadth of their carrier base and through a managed transportation service solution can bring diversification and technology that would be difficult for you to achieve on your own. Keep in mind that “balance is not something you find – it’s something you create.”. 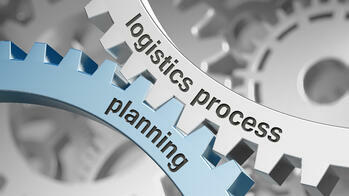 In other words, diversifying your freight strategy will not happen by itself and overnight. If you find yourself looking for help in your quest to diversify away risk to bring more stability with service and cost for your freight and logistics team we ask that you keep us in mind.